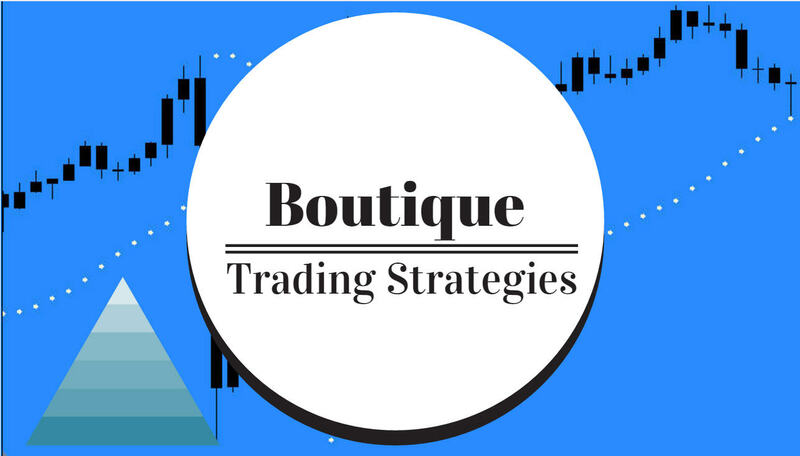 Many Forex Traders and Investors have a sizable interest in what may be happening to various currencies regarding their trading strategy. Today I will gather some information on a group of ETF's related to several of the heavily traded currencies. Currencies are volatile today and will be more volatile as weeks pass. Countries are manipulating their currencies to gain advantages and export markets. As you can see, this list covers the important and most heavily traded currencies exclusive of the US Dollar. In another article I will explore the relationships of each of these currencies with the US Dollar. Here is a chart from ETFScreen.com outlining a comparison of the Relative Strength factor for the past quarter. Of course, as each day passes there will be changes in Relative Strength factor and the order in the list will change. 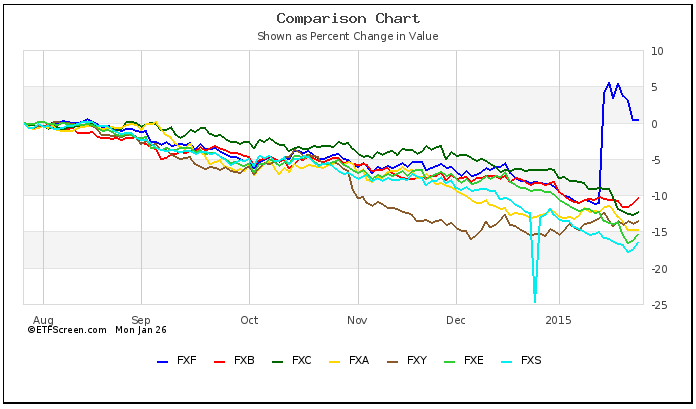 This next chart illustrates a comparison in percent change for the past several months, I am assuming that the down slope is closely related to the climb in the US Dollar. 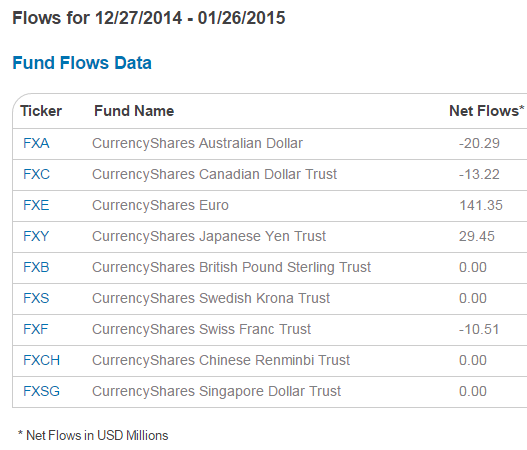 This chart, from etf.com illustrates the fund flows into each of these ETF's for the past month. Of course we want to know what is in the future for currencies and that is not easy to know, there have not been many successful forecasters. However, there is one school of thought that we can consult and that is based on past performance. Point and Figure Charts are not the holy grail, however they have a good track record and for this purpose they will cast some light on future direction. 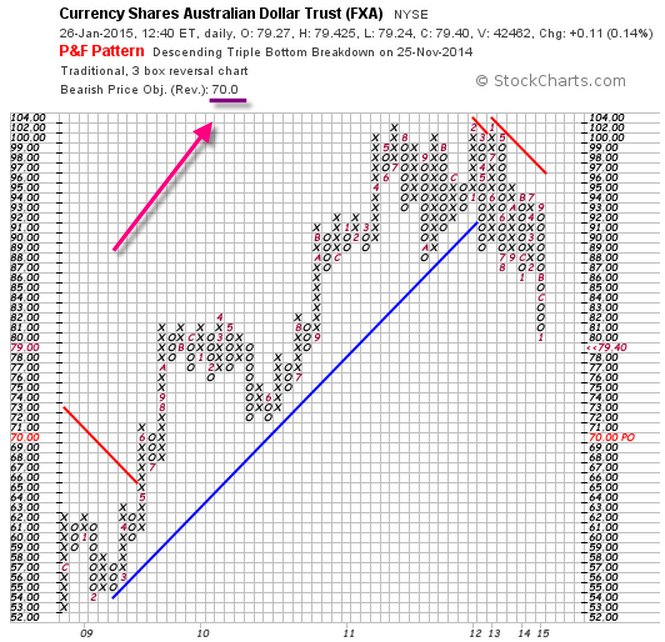 Here is the P&F chart for FXA, the Australian Dollar Trust, I point out the Bearish Price Objective. I will be updating the information on each of these currencies and ETF's in coming days.